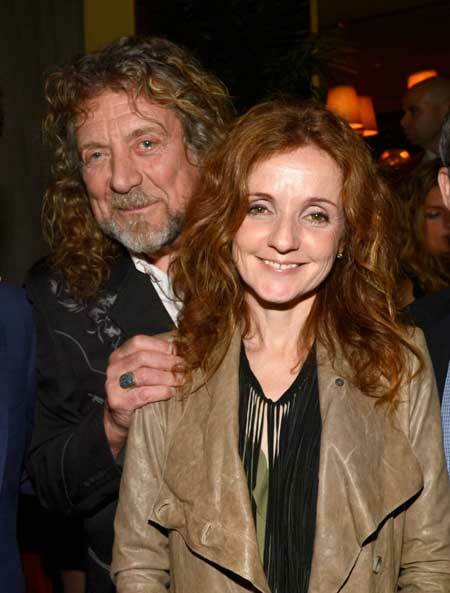 Is Robert Plant Gay ? British singer and songwriter, Robert Plant is best known as the former vocalist and lyricist of the rock band, Led Zeppelin. He is widely popular among audiences for his powerful and wide vocal range and developed a compelling image as the charismatic rock-and-roll frontman. Plant started his musical journey in 1965 and in his over 50 years of singing career he has given numerous hit albums to his audiences. The Principle of Moments (1983), Manic Nirvana (1990), Fate of Nations (1993), Dreamland (2002) and others. Robert Plant was born as Robert Anthony Plant on August 20, 1948, in West Bromwich, Staffordshire, England. He was raised in Kidderminster, Worcestershire. He is the son of Robert C. Plant, a qualified civil engineer and Annie Celia Plant, a Romanichal woman. He had a keen interest in music since his early days. Plant attended King Edward VI Grammar School for Boys in Stourbridge but left the school in his mid-teens and developed a strong passion for the blues. He left the Chartered accountant training after only two weeks of attending college to gaine GCE passes and to become part of the English Midlands blues scene. Plant left his home at the age of 16 in order to start his musical career. He did various odd jobs while pursuing his music career including tarmacking roads for a construction company and also worked for Woolworth's in Halesowen town. 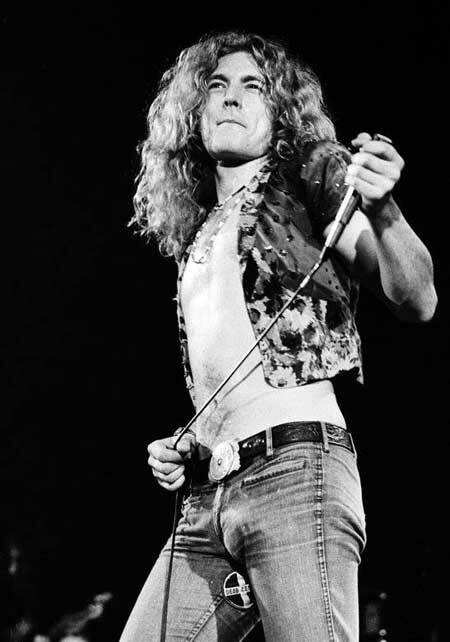 Robert Plant got his major musical break in 1968 after Terry Reid turned down the offer from guitarist Jimmy Page to became the lead singer for his new band in 1968. Plant performed "Somebody to Love" in his audition which led Page to stop his search. Page introduced his friend, John Bonham and he joined the band as a drummer followed by bassist/keyboardist John Paul Jones. Initially, the band named their group as New Yardbirds in 1968 and went on a tour to the Scandinavian countries. But soon they changed the name of the band into Led Zeppelin after receiving cease and desist letter from one of the past members of The Yardbirds. 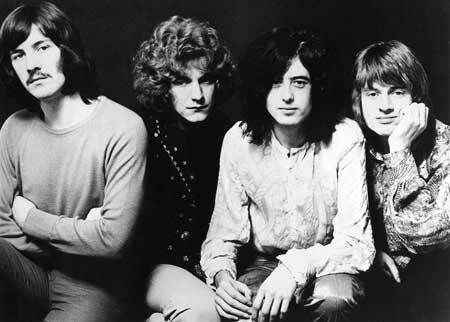 The band released their first self-titled first album, Led Zeppelin in January 1969 which received mixed reviews from audiences but Plant's raw, powerful vocals and Page's masterful guitar work gained many fans. They launched their second album, Led Zeppelin II, that year as well, on 22 October which consists the songs like "Whole Lotta Love," "Ramble On," and "Heartbreaker." The second album was a massive hit and became famous in USA and UK charts. In 1999, the album received a 12× Platinum certification from the Recording Industry Association of America (RIAA) and brought them their first Grammy nominations. In 1970, Led Zeppelin released their third album, Led Zeppelin III on 1970 followed by Led Zeppelin IV (1971) which consists of the greatest hit, "Stairway to Heaven", Houses of the Holy (1973) Physical Graffiti (1975) Presence (1976), and In Through the Out Door (1979). In 1980, the band lost their friend and drummer John Bonham after which they decided they could not continue Led Zeppelin without Bonham. Then in 2014, Led Zeppelin faced a legal issue after a trustee for the estate of musician Randy Wolfe filed a lawsuit alleging that the band had ripped off the intro to "Stairway to Heaven" from one of his clients. After Led Zeppelin disbanded, Robert Plant started his solo musical career with the album, Pictures at Eleven in 1982. Then he released The Principle of Moments which consists a number of hit songs but the album was known for its mellow single "Big Log." Although Led Zeppelin split in 1980, Plant occasionally collaborated with Jimmy Page for various projects and he formed a short-lived all-star group with Page and Jeff Beck in 1984 named Honeydrippers. The band had two successful singles, "Sea of Love" and "Robert in at Midnight". In the late 1980s and 1990s Plant co-wrote three solo albums, Now and Zen in 1988, Manic Nirvana in 1990, and the 1993 Fate of Nations. In 2005, he was highly appreciated for his album, Mighty Rearranger. Later he collaborated with Alison Krauss on the 2007 country-folk album Raising Sand which quickly became a top seller in the United States and subsequently won five Grammy Awards. In 2012, Plant formed a new band, Sensational Space Shifters along with other nine members. They released their first download live album called Sensational Space Shifters in July. Since then he has been performing with his band at various concerts and events. Robert Plant is one of the popular and successful English singers. He has given a number of hit songs in his over 50 years of musical career. His estimated net worth is $170 million as of January 2019. In 2015, he was ranked #36 in the list of the richest singer by Birmingham Post with a total net worth of $130 million (£100m). Plant was offered £500 million to reform Led Zeppelin by The Virgin boss in 2015. He and his fellow founders Jimmy Page and John Paul Jones were offered $247 million (£190m) each for 35 dates to perform in three cities. Plant owns two big music companies, Trolcharm, and Sons of Einiaon which has combined assets of $39 million (as of 2015). He has a wide range of car collection including Aston Martin DB5, 1956 Rolls-Royce Silver Cloud, Audi, Mercedes, BMW, and many others. 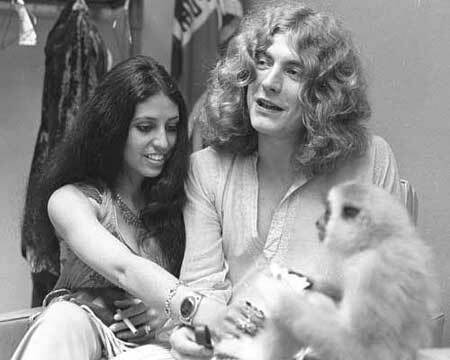 Robert Plant is possibly single at the moment but previously he married his girlfriend, Maureen Wilson. The duo first met in 1966 at a Georgia Fame concert then after two-three meetings, they eventually fell in love. After dating for two years, the couple exchanged a vow on November 8, 1968, at an intimate ceremony. The couple shares three children, they first welcomed their baby, a daughter, Carmen Jane on November 21, 1968, just after 12 days of their marriage. In 1972, the pair was blessed with a son, Karac Pendragon followed by another son, Logan Romero born on January 21, 1979. However, the couple failed to handle their marital life and divorced in August 1983. Plant lost his five-year-old son, Karac from a stomach virus on 1977 while he was on Led Zeppelin's US tour. The following year, he found his friend and band-mate John Bonham dead outside Jimmy Page house in London. The death of his son and friend utterly devastated Plant for a long time. He dedicated a song, "All My Love" to his son. Plant has a son, Jesse Lee (born on 1991) from his brief relationship with Maureen’s sister, Shirley. But the couple split apart soon after the birth of their son. Then he dated Canadian singer, Alannah Myles for a short period of time. In 2010, he met singer-songwriter, Patty Griffin and two started dating. The following year, the couple moved to Austin, Texas and lived happily until and unless their personal differences started hitting their love life and just like his previous relationship this one also ended on a sad note on 2014. "Patty and I tried a sort of zig-zag across the Atlantic but she didn’t share my penchant for cider and she used to marvel at the Black Country character I became after four pints of Thatchers. My feelings are very much ones of sadness and regret." Plant is a huge fan of Bukka White, Skip James, Elvis Presley, and The Doors' lead singer Jim Morrison. As of 2018, he resides at Shatterford, near Bewdley in the Wyre Forest District of Worcestershire. He celebrated the 70th birthday party for his ex-wife Maureen in November 2018 while Americans celebrated Thanksgiving. He was spotted at the Fox Inn in Stourton, England and performed the cover of Elvis tracks One Night, Little Sister and A Big Hunk O'Love. Robert Plant is interested in Welsh History as he donated for the construction of a bronze statue of the Welsh prince, Owain Glyndwr in 2004 at Pennal Church, near Machynlleth, in Wales. He also contributed for a slate carving of Glyndwr's coat of arms at the Celtica museum. He became the third Vice-President of the football club, Wolverhampton Wanderers. In 2010, his autobiography documentary titled, Robert Plant: By Myself was aired on BBC Two which features Plant discussing his journey with Led Zeppelin and various projects since. Plant contributed to a community buyout scheme to save Bath music venue, the Bell Inn. In 2006, Heavy Metal magazine, Hit Parader named Robert Plant "Greatest Metal Vocalist of All Time". He was voted "the greatest voice in Robert " by Planet Robert in 2009. He was listed 14th Greatest Robert 'n' Roll Artists of all time by Rolling Stone. He also ranked #37 on VH1's 100 Sexiest Artists. Plant received a special honor in 2009 when he was appointed Commander of the Order of the British Empire "for services to music" by Prince Charles at a ceremony held in Buckingham Palace. He was also honored with the Lifetime Achievement Award by the UK Americana Music Association. Shirley Wilson is the sister of Rock Plant first wife. She has a son with Rock Plant. Alannah Myles is a Canadian singer. She was in a brief relationship with English singer and songwriter, Rock Plant. Patty Griffin is an American singer-songwriter and musician. She is a vocalist and plays guitar and piano. Rock Plant married his girlfriend, Maureen Wilson on November 8, 1968, at an intimate ceremony. The duo has three children. Carmen Jane was born on 1968 just after 12 days of her parent's marriage. She has two younger siblings and a half-brother. Karac Pendragon was born on 1972. He has two siblings, a brother and a sister, and a half-brother. Logan Romero was born in 1979. He has two elder siblings, a brother and a sister, and a half-brother. Jesse Lee is the son of Rock Plant and Shirley. He was born in 1991. He has three half-siblings.